On the next leg of The Amazing Race, teams flew from Copenhagen to Marrakech in episode 5. Their next challenge was found at Jemaa El-Fnna Marketplace, and today’s track is found just a few miles from there. 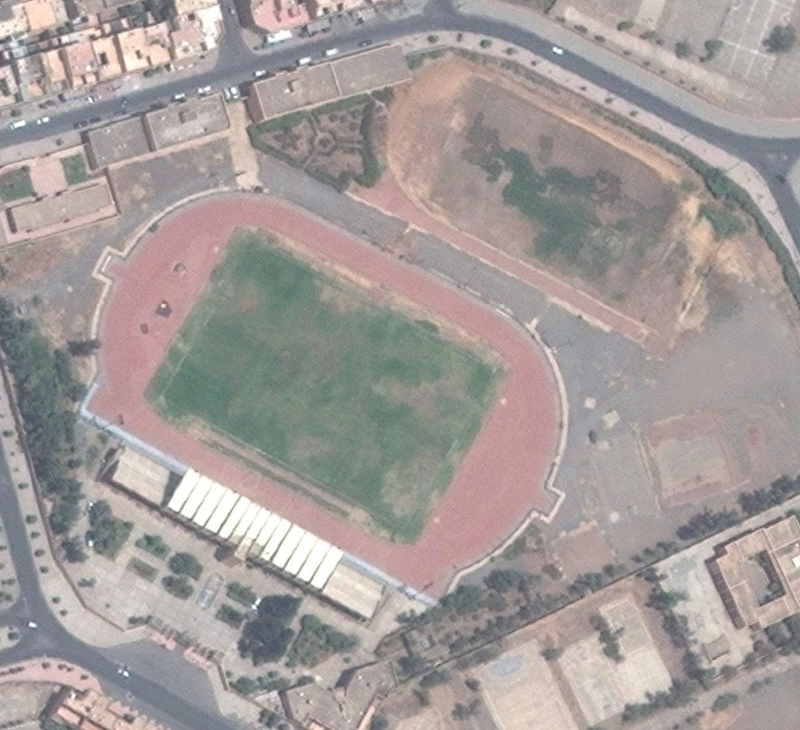 Complexe Sportif Sidi Youssef Ben Ali is one facility that I could find no information on, other than an address. It does have a synthetic surface. Both D-zones are filled in as well, and the infield is most likely used for soccer. There is also a second partial track to the north that looks like it has just a section of the red surface, from part of the curve into one straightaway. In a photo that I found that was taken in 2007, the curve continued to the building you see in the Bing photo. It has obviously deteriorated a bit since then.